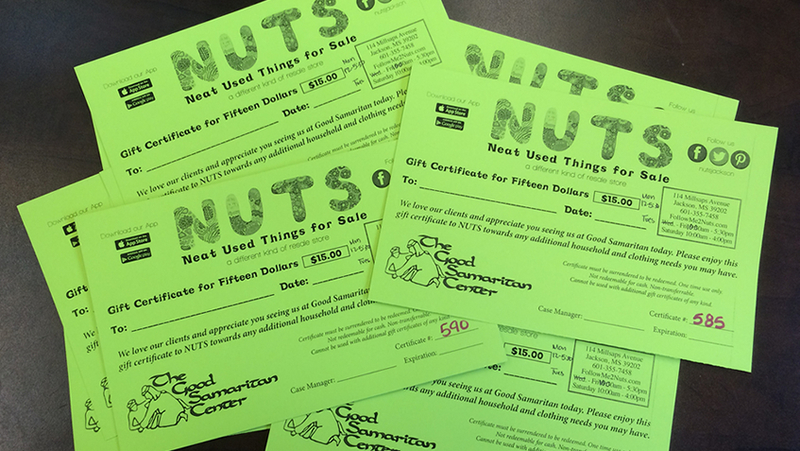 Each client we see at Good Samaritan for food or clothing also receives a $15 Gift Certificate to our resale store, NUTS – Neat Used Things for Sale. We love our clients and this way they can purchase any additional household items or clothing they may need. Our hope is that they she how amazing our store is and return to shop with us!